The cash wrap is the business center of your store. It's where you make sales, so it needs to be secure and efficient. But it's also where you can encourage additional sales as customers check out, so you want some space to inspire impulse purchases. You can design your cash wrap almost any way you want, which means you can create a space that accommodates all your functional needs and perfectly matches the look and atmosphere of your store. No wonder the cash wrap is considered to be the signature fixture in most retail environments. Here's how to choose the right cash wrap for your store. Deciding on the best location for your cash wrap counter is one of the most important decisions you’ll make as a retailer. You want to ensure cash wraps are conveniently located and easy to find, whether you have just one or several throughout your store. But you don’t want to give up your most valuable sales space. So, where is the best location? Typically, the best location for your cash wrap is 12–20 feet inside the exit to the left. Of course, the exact location depends on a number of factors. Here are five things to consider when choosing the best location for your cash wrap and the best way to configure it. In today's retail environment, speed is everything. 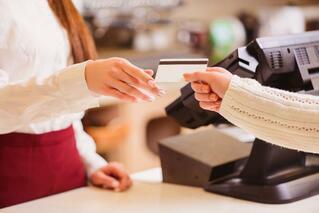 Customers are looking for quick and efficient transactions. Waiting in line is no one's favorite past time. Efficient cash wraps and checkout lines result in a satisfied customer and a calm and collected staff. Keep your cash wrap flowing smoothly by following these tips. All registers should be positioned at a single exit. Have registers visible from the entrance, but not directly in front of it. Create a distinct entrance and exit connected by a single store-penetrating aisle. This will encourage traffic to flow towards registers from a singular direction, lessening confusion and congestion. Continue the momentum and have traffic smoothly move past cash wraps to the exit. The key to retail perfection (and greater profitability) is to always order exactly the right amount of merchandise. Not too little – who wants to miss out on sales? But not too much, either. Because then you’re faced with the dead stock dilemma: what to do with that aging inventory. If a regular shopper visits your store and sees the “same old stuff” at the checkout counter, you'll miss out on an important opportunity. They will be blind to your last-minute purchase offerings, and that will have a depressing impact on your store’s overall sales. Give that cash wrap a makeover, and you’ll boost your customers’ experience as well as your bottom line. The cash wrap in your retail store has a dual personality. On one hand, it’s a key work space for your sales associates. On the other, it has the power to generate additional sales. In both respects, your cash wrap must provide an exceptional final touch for each customer’s shopping experience. The frosting on the cake, if you will. The key is to find the perfect balance between efficiency and merchandising. What does your cash wrap counter say to your customers? Does it cap off each person’s excellent shopping experience, or is it a letdown? The appearance, location, size, and even the shape of your cash wrap counter all make a statement – and it’s the last thing customers will see and “feel” before they leave. Your cash wrap is the last stop customers make after they have journeyed through your store. Since most shoppers head to the right upon entering, the checkout area should be on the left. Put it near the front, but not too close to the entrance. You don’t want to create a visual barrier that keeps new customers from seeing your merchandise. Nor do you want to create a traffic jam in the entrance. Try to avoid multiple approaches – this confuses customers and can make it appear people are cutting in line. If you need additional cashiering space during peak seasons, create a single, expandable cash wrap rather than adding separate units in other parts of your store. This also confuses people, and, worse yet, can enable them to pay and leave without seeing everything you have to offer. It’s a work place. It’s a display space. It’s a branding element. It’s a decoration. It’s your cash wrap counter. Every retail store has at least one, though they can vary dramatically. Size and shape depend on your store size and how you’ll use the cash wrap. At a minimum, you need enough counter space for your cash register and plenty of room for customers to set their purchases and write a check. Functionality matters, but why not make a statement? Just because it has to be functional doesn’t mean your cash wrap counter has to be boring. Let it tell your story, whether it’s simple and sleek or outrageously entertaining. With nearly unlimited design and materials options, your cash wrap can easily be eye-catching. Consistent branding is crucial, though, so while offbeat is OK, off-theme is not. 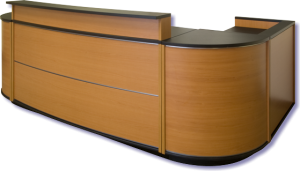 In an earlier article, we talked about ideal placement for your cash wrap counter. 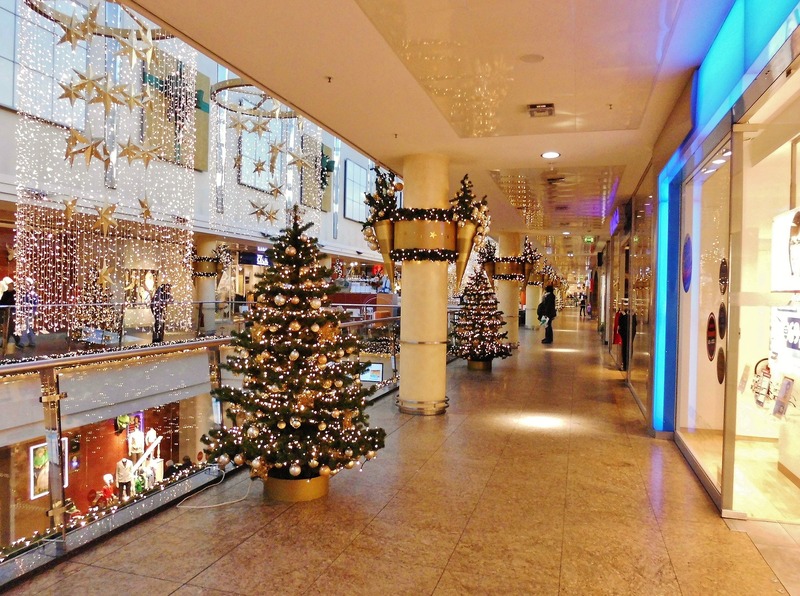 Now let’s look at how you can make that space more efficient this holiday season. The cash wrap counter is both your last interaction with today’s customer and a golden opportunity to reinforce their excellent experience with you so they become tomorrow’s customer as well. Efficiency is the key. And not only during the busy holiday season. Results of a recently-released international study show customers are willing to spend more and return to your store more often, if only you make their checkout experience more efficient. Such a small thing, really, but the benefits can be tremendous. Make your cash wrap counter all about your customer. What do they see when they approach your checkout station? Is there enough counter space to set down their purchases and their purse and still have room to write a check or sign a receipt? Or has it become a dumping ground for supplies, returned merchandise, post-it notes, and a jumble of “stuff” posing as impulse items? Clutter doesn’t say you’re busy, it says you’re sloppy. Does it look fresh and clean, or is it already showing signs of the holiday rush such as smudged fingerprints and chipped paint. Visuals that indicate lack of attention to detail subtly tell customers you may not be very attentive in other ways, either. They can lose trust. Your reputation can suffer. If you add cash registers or checkout stations during the holidays, group them rather than sprinkling them throughout your store. 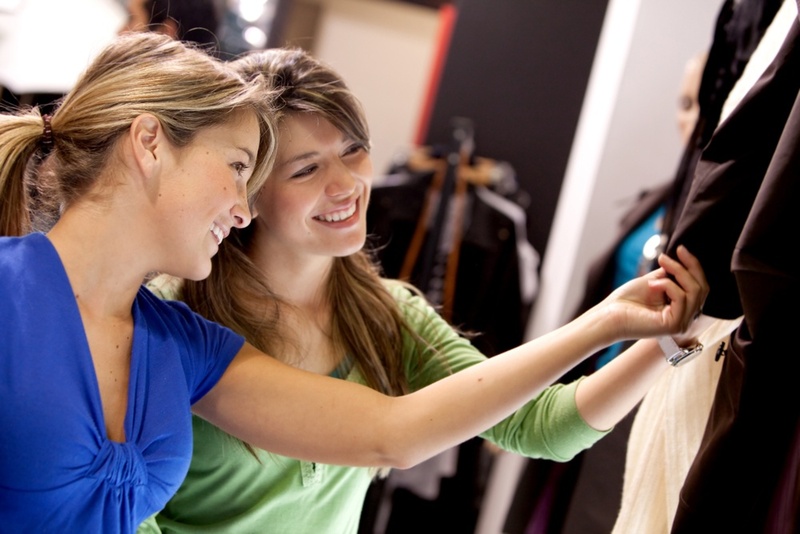 Multiple locations may seem customer-friendly, but the net effect will be to keep shoppers from seeing merchandise in other parts of your store. That’s a missed opportunity for both of you. 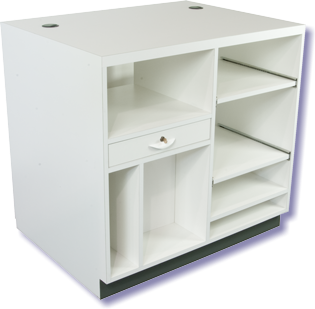 There is no universally perfect location for a cash counter, simply because retail stores are different. Merchandise is different and the size and shape of your space are different. 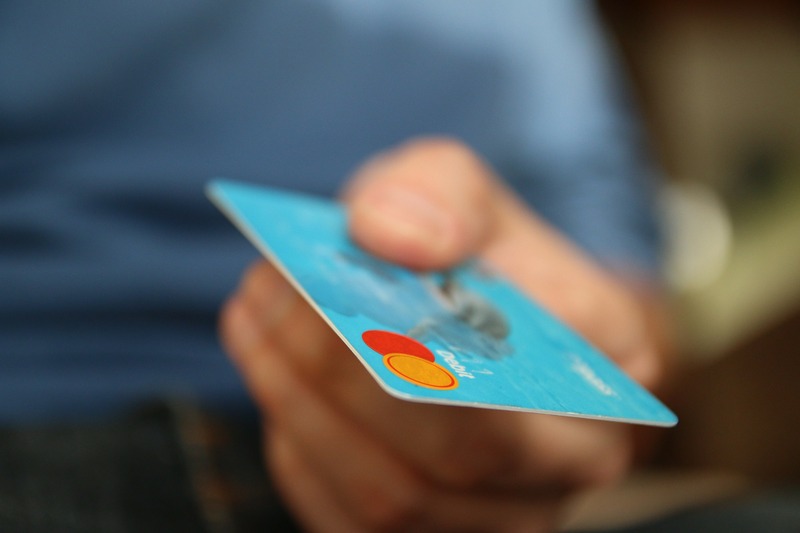 Nonetheless, there are some universal truths about placement of cash counters that you can use to optimize holiday sales. Tempting as it may be to put your checkout counter right at the entrance for security or shopper greeting purposes, it’s important to remember that the space just inside your door serves as a “decompression zone” for shoppers. It allows them to transition from outside to your interior, taking a look around before starting to shop in earnest. You don’t want to put up a barrier here. Not on the right, either. 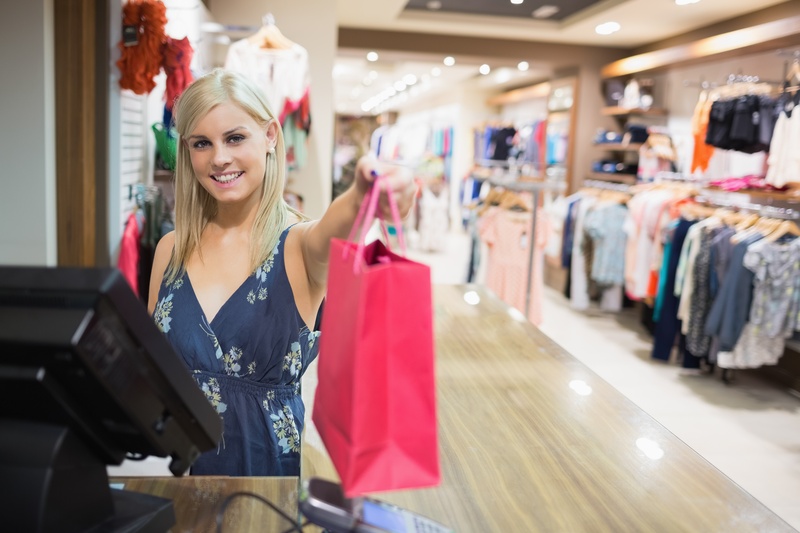 The area just to the right of your entrance is prime merchandising territory because American shoppers typically head to the right and move through your store in a counter-clockwise direction. It’s a bottom-line mistake to put your cash counter where you could be making sales and drawing shoppers farther inside.